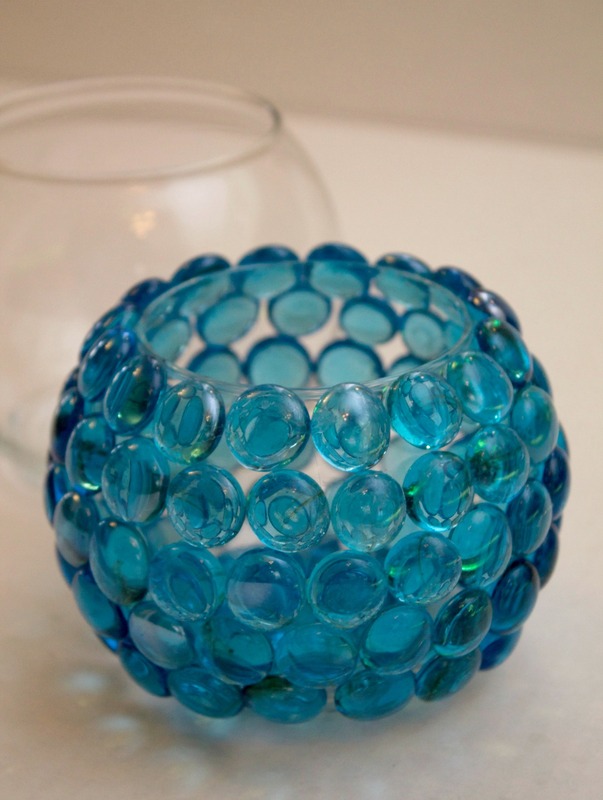 Home » Dıy » DIY glass bead candle holder is simple, easy and an inexpensive craft. I have a bit of an obsession when it comes to the Dollar store. They have so many awesome items. And because everything costs a buck, you could really go crazy. I will often run to our local Dollar store to pick up something in particular and end up leaving with bags full of stuff. 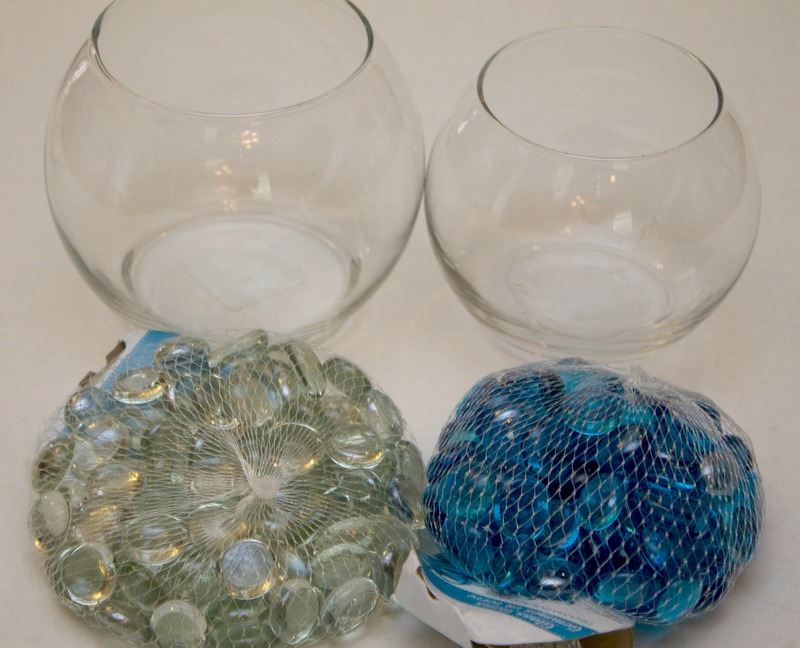 There are just so many awesome ideas for Dollar store crafts around every corner of the store. 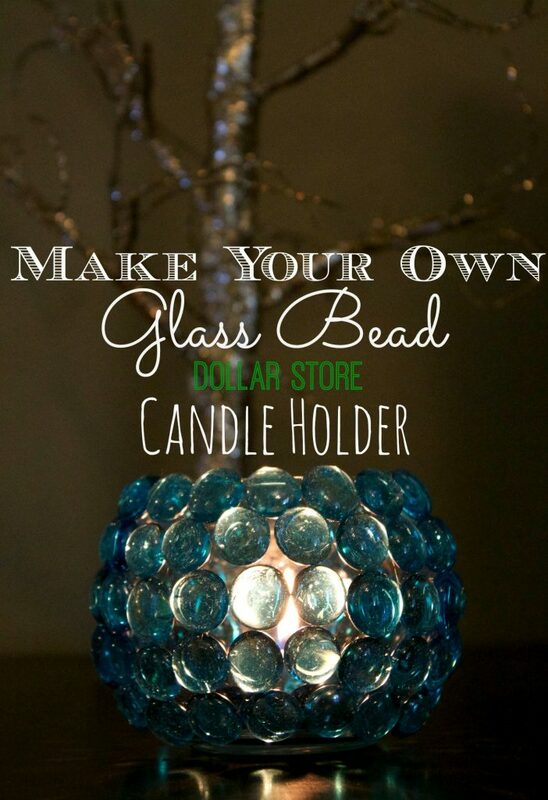 My latest dollar store creation is a glass bead candle holder. This craft is quick, easy and cost me only $2! 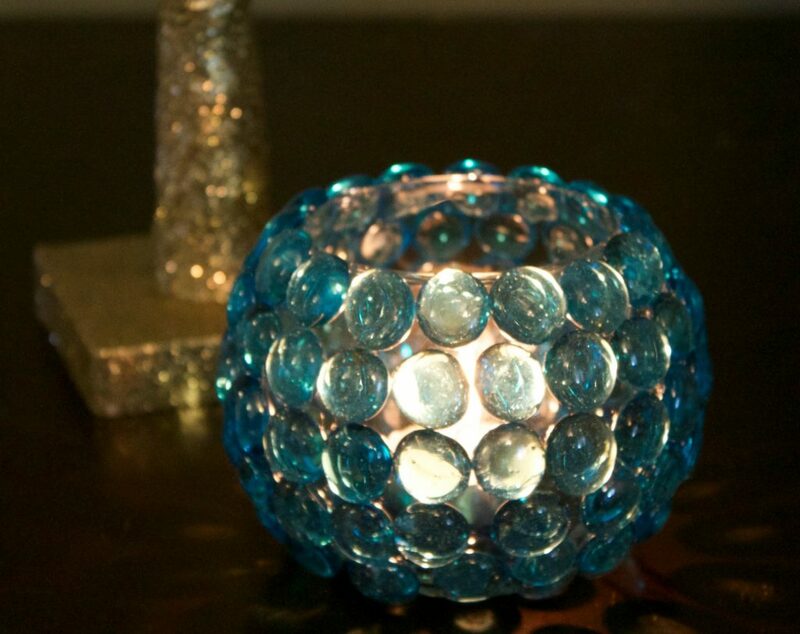 These would be great for table centerpieces, gift ideas, wedding decorations and much more. I made one for our living room and it turned out great. 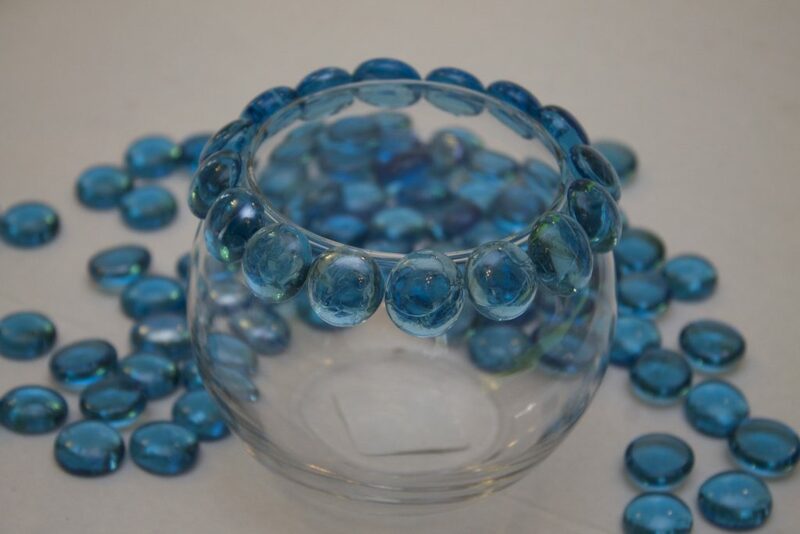 All you need to make these is a small oval glass container, bag of glass beads , glues sticks and a hot glue gun . That’s it. All of these items (excluding the glue gun) can be found at the Dollar store. To make these glass bead candle holders the first thing you need to do is take a small amount of glue and apply it to the back of the glass bead. 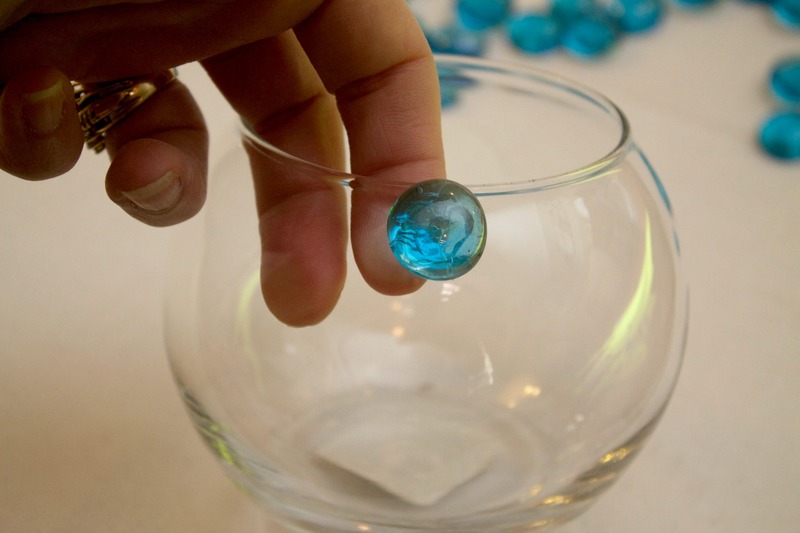 Next press that bead against the very top of the glass. You will keep doing this in a line around the top of the glass until you’ve gone around completely. It will look like this picture below. Once the first line is done start adding a second line directly under the first with the beads. Add them one at a time. 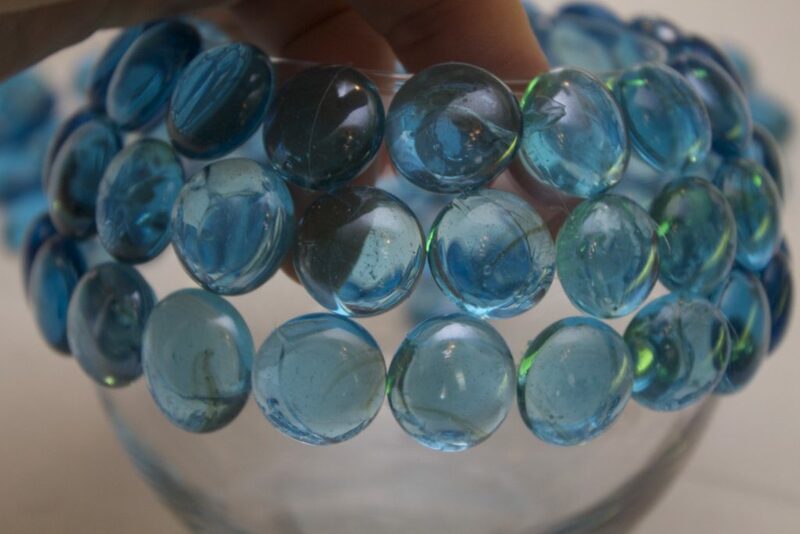 If there is a little space between the beads or you end not being able to connect the circle that’s ok. Just try to get the beads as close as you can. Now just keep going until the glass is completely covered in glass beads. It took me about 20 minutes to completely cover mine. This is what the finished candle holder looked like. And here’s how it looks lit up with a candle inside.